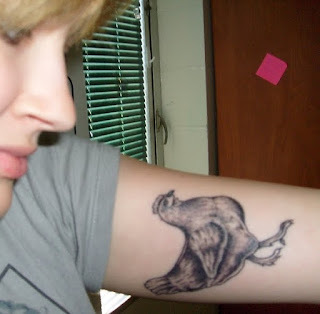 I don't have any tattoos. 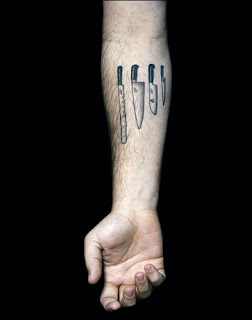 They have always been something I appreciate, or even admire, on others, but have never been able to commit to for myself. 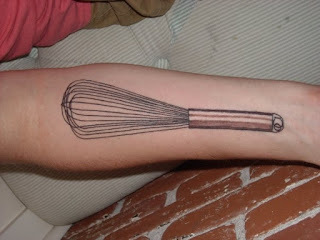 Chefs (the bad boys that they tend to be) have a reputation for being tatted up, and in the last dozen or so years, I've seen a handful of occupation-related tattoos popping up on them, or perhaps more likely, on aspiring chefs, the ones who are trying desperately to make their mark and get noticed. 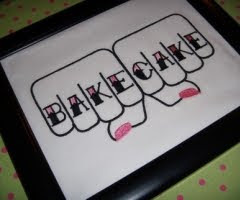 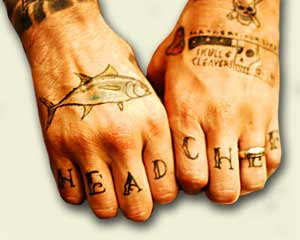 The knuckles tattoo, which if I'm not mistaken was used in a montage for one of the seasons of Bravo TV's Top Chef, is probably the most popular one. 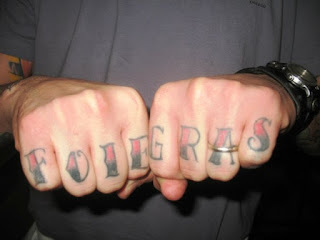 Searching around the net, I found a few that I think have more style and personality than the brazen knuckles. 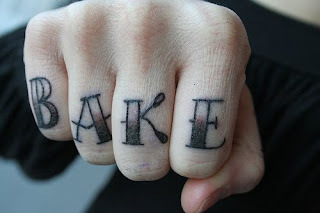 There are tattoos of equipment. 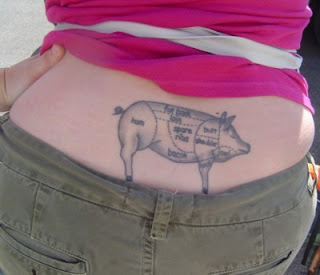 Some people prefer tattoos of edible animals and plants. 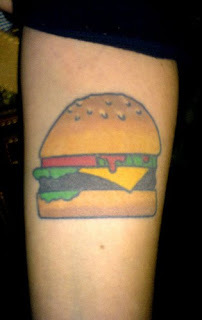 I found a huge number of cartoonish food tattoos, most of which grossed me out, like this burger. 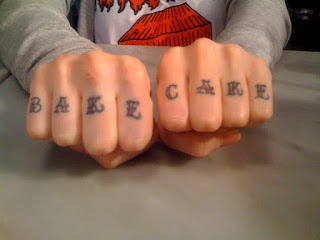 The best one I found was a milk-and-cookie tattoo (not shown here because the copyright for the photograph is held by Sarah Goldstone) . 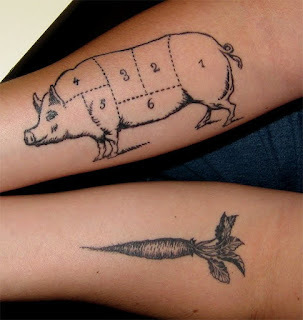 And finally, I found a number of product spot tattoos. 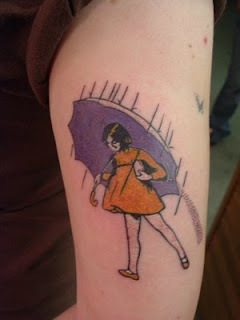 While I would never want to be a walking advertisement, I fell in love with this Morton's Salt recreation because of the image's style.